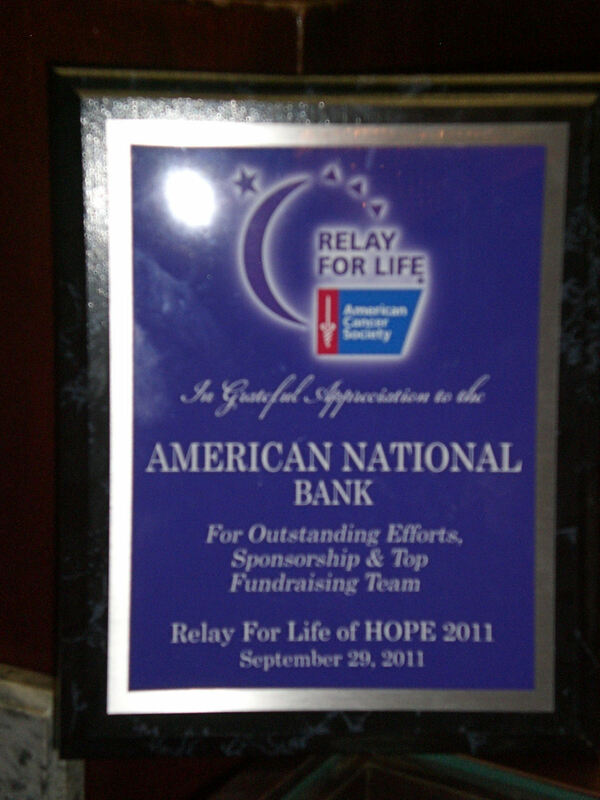 American National Bank was named the top fundraising team for the American Cancer Society’s Relay for Life of HOPE 2011. 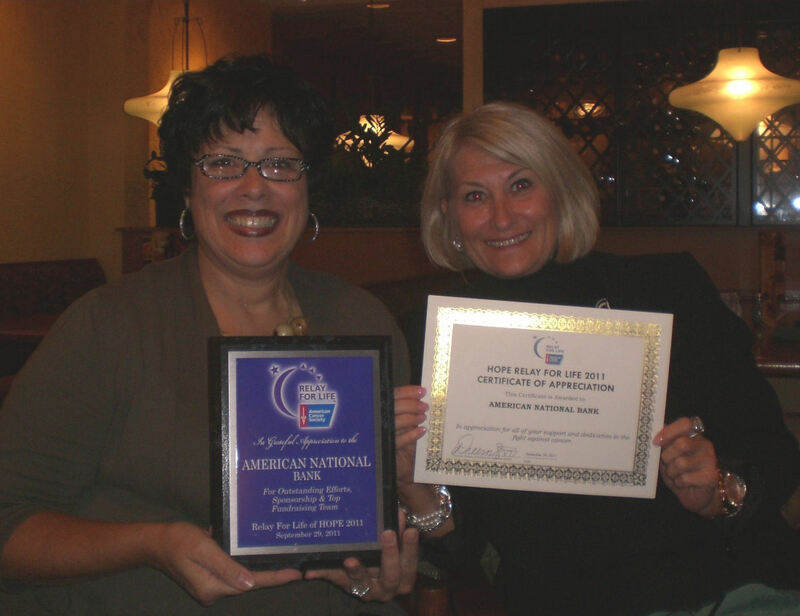 Esther Martinez, SVP, and Debbie Troyer, VP, of American National Bank accepted the award on behalf of the ANB team at a dinner ceremony on September 29, 2011. 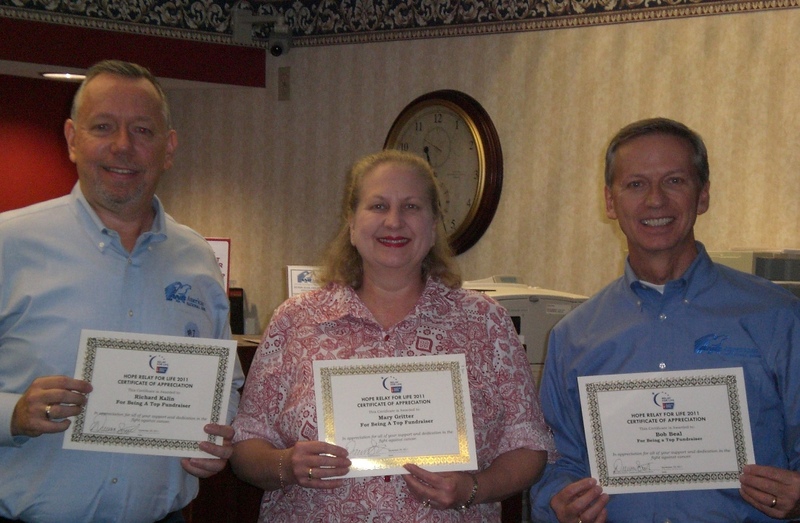 The ANB team, with the help of our generous clients, raised $7,286.34 for the American Cancer Society. This entry was posted on Friday, September 30th, 2011 at 5:26 pm and is filed under Uncategorized. You can follow any responses to this entry through the RSS 2.0 feed. You can leave a response, or trackback from your own site.